Hedberg Moving Solutions: Packing: Are you on Schedule for Move Day? 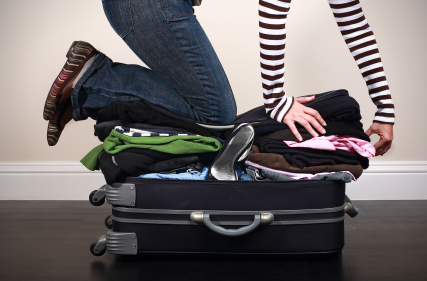 Packing: Are you on Schedule for Move Day? You’ve conquered some very large tasks by now since your starting to pack up for move day; you’ve already picked a moving company, new home and found all your supplies for packing. Now you may be overwhelmed with the amount of packing you need to do but first take a second to appreciate all that you’ve accomplished already! Now once you’ve zoned in on a moving date it’s important to stay on schedule and get organized. At this point we know that you’ve already decided to pack yourself and that’s wonderful but you need to stay focused to get it all completed before your move. You may think that 2 or 3 months before your move is way to early to get started packing but time flies! Start packing rooms you do not use on a daily basis such as the attic or storage closet. First sort through the items and figure out if your going to donate, throw away or keep the item. If it goes into the “keeper pile” pack it into a box. Now your starting to get down to the wire once your 1 month away from moving day. Continue to pack rooms throughout your home and start focusing on having one room totally packed at a time. The focus should still be on the rooms that are less essential to your daily routine. Another good goal to get taken care of in this time frame is scheduling appointments for transferring all your utilizes, cable, internet and phone to your new home. This is another good time to notify the post office, credit card, banking, ect that you will be relocating. As your move date is closing in, now only 2 weeks away, you’ll want to pack up everything expect for a few essential items like some pots and pans from the kitchen, food, some dishes, bathroom products, ect. At this time you can also start moving the boxes by the front door or in the garage if wanted. This will save your moving crew time and ultimately save you money in the long hall. Now your dashing toward the finish line when your move is only 1 week away, didn’t that time fly? This is the time when your organization and planning skills are tested. First plan out your meals for the next week, pack an overnight bag (if needed), and what you’ll absolutely need. 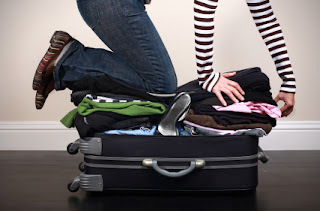 Go through each room that isn’t already packed, if an items is not on your essentials list pack it up. This will also be a good time to defrost any freezers and disconnect your appliances if needed. At this point if you are unable to get all the packing done or have questions about packing specialty items notify your moving company. This way if they need to send out a larger crew, bring packing supplies, allot more time for your move, or explain how to pack certain items they can. Your final packing will happen just the night before your move. Take the final essential items you needed the past few days and mark them in a box labeled “open first”. By doing this you will know which box(es) you’ll need right away in case you are unable to start unpacking immediately.